First off a huge thanks to Heather Pavlik and Stephanie Benton for putting together the 5 Day Summer Reset! 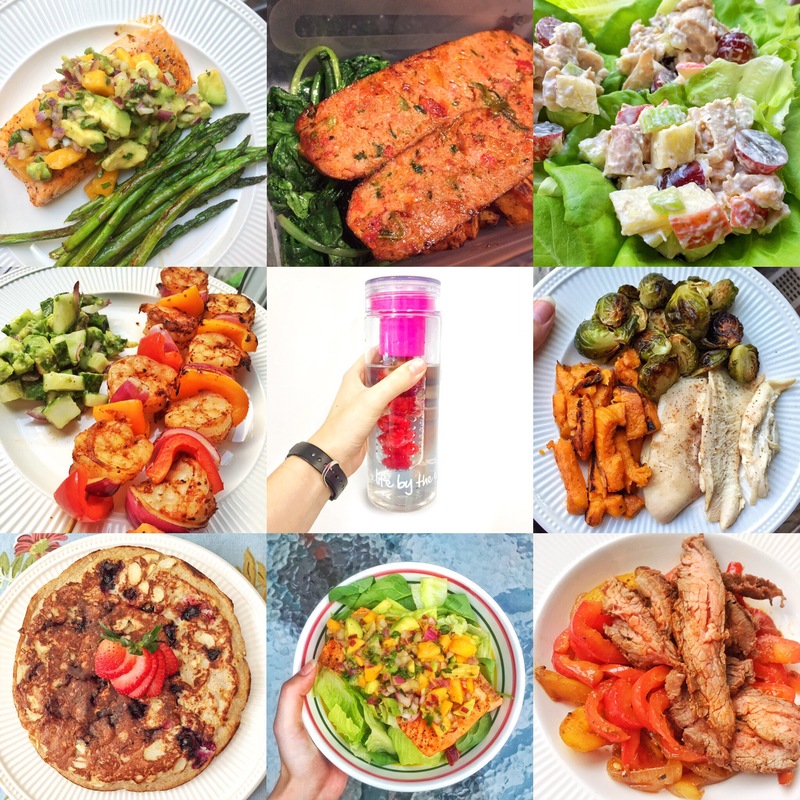 With lots of super delicious recipes and fun (but tough) workouts, it was easy to keep up with the plan for the week. We had a blast taking on the different daily challenges, which also led to working out in some odd places (push ups in a cubicle, squats in the bathroom and wall sits in the break room). This reset was great way to kickstart a healthy lifestyle, even our parents were able to join in! So lets break down the reset! We were definitely more nervous for the food portion of the 5 Day Summer Reset. Going in we weren’t sure if we would have super bad cravings or if we would feel hungry all of the time, but surprisingly we had pretty much no cravings and almost felt like we were eating more than we did pre-plan thanks to all the fiber filled vegetables! In general, we liked most of the food a lot. I mean there were of course exceptions like Kate didn’t care for the Avocado Egg Salad and 3 Ingredient Pancakes, but since she doesn’t like avocados or bananas that was to be expected. Our hand’s down favorite of the week was the Waldorf Chicken Salad made with greek yogurt. It was delicious and filling. My dad and I were surprised to find that when roasted, we actually do like sweet potatoes and I think the whole family was surprised by how delicious a spaghetti squash can be with the right sauce! While eating healthy does cost a bit more and we spent way more time cooking, we all agreed that it wasn’t too hard and we can easily incorporate these recipes into our every day life. What really helped us stay on track for the meal plan was lots and lots of meal prep! We spent each night putting together breakfast and lunch for the next day so all we had to do was grab and go the next day. Overall, the reset taught me so much about food and what we put into our bodies that I’ve I am (finally) ready to take on the Whole30 challenge which Heather and her sister, Kerri, did together in the beginning of summer! But I’ll talk more on that in the next couple of weeks! While we both try to work out, we aren’t necessarily the best at it so we loved that Stephanie laid everything out for us. Some of the workouts were definitely a bit hard (we’re looking at you Hottie Hiit & Workout of Champs), but they were offset by the more relaxed pilates workouts on Tuesday and Thursday. We really loved that most of the workouts required no equipment which is great for Kate who is starting to travel more for work. After a few days of clean eating, it was incredible to see how it changed our attitudes towards working out. By the end of the week, I was looking forward to my workout instead of dreading it like before. Kate is excited to try keeping up with the workout routine for the next two weeks to build up her stamina and overall fitness before heading to Italy! While the 5 Day Summer Reset was totally not about losing weight, we’re both pretty happy that we lost a few pounds. We also felt less bloated and had more energy! I think at the end of the day, we’re pretty excited to incorporate parts of the 5 Day Reset recipes and workouts into our everyday life and start to learn more about eating paleo and discover more workouts we enjoy! Thank you again Heather and Stephanie for creating an awesome program! Whenever either of you do another challenge you can definitely count us in!